Governorship Candidate of People’s Democratic Party (PDP) in Kaduna State, Isa Mohammed Ashiru on Friday condemned in strong term the abductiin, and subsequent murder of the Agom Adara (Traditional Ruler of Adara Chiefdom), His Royal Highness, Dr Maiwada Galadima, by unidentified persons. 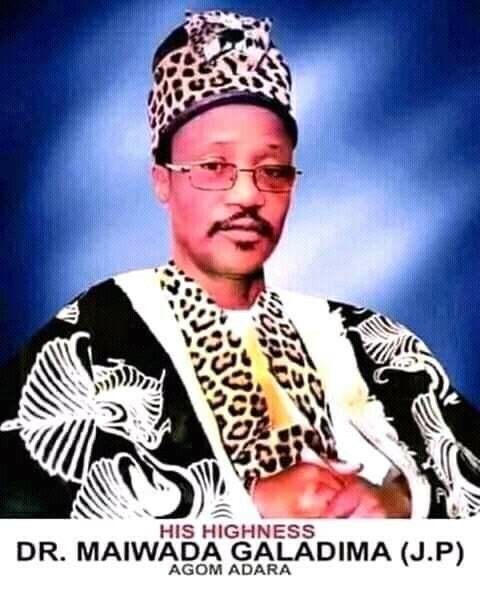 The Monarch was adopted alongside his wife last week on his way from Kaduna but the wife was later released and N20m ransom was said to have been paid on the monarch before his lifeless body was recovered around Kateri, Kaduna – Abuja highway on Friday, October 26, 2028. Isa Ashiru described the abduction and subsequent assassination of the Chief as the ugliest form of criminality which should be condemned by all reasonable and peace-loving people across board. While he condoles with the family of the deceased and the entire people of Adara Chiefdom, Ashiru also called for immediate and thorough investigation with a view to bringing the perpetrators of the dastard act to justice. He particularly urged the relevant authorities, security agencies and community leaders to continue to adopt effective measures towards the restoration of normalcy. Isa Mohammed Ashiru appealed to all the communities in Kaduna State to continue to unite among themselves in order to fight the forces of evil that are bent on creating and sustaining crises in the State.